Any fellow Crunchbase readers out there? Reading it is part of my morning routine, along with the Times and my oatmeal and raisins. This week it informs me that Tesla, upon releasing their new broader-market Model 3, has come to understand that service is king. To support their next phase of growth they’re adding a full-featured, nationwide service component. It’s a good call. Frankly I’m not sure how they’ve grown thus far without it. “How you gonna service them, my friend [mon amie] [mio amico] [arkadaşım]? 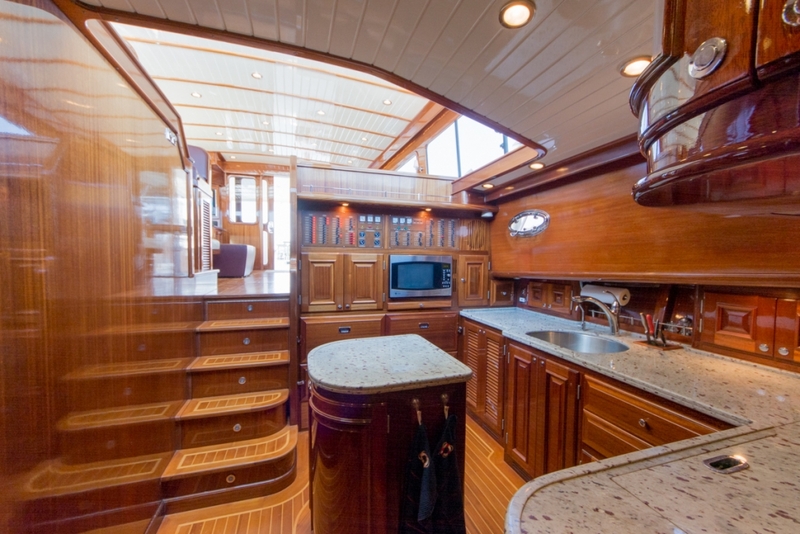 Very busy owners who put a premium on quality, hassle-free time on the water. The last is the biggest and toughest point to get across to some offshore builders. With all due respect to my European friends and clients (and I really do mean this as a quality-of-life compliment) I’ve found that, on average, successful Americans work a bit harder than successful Europeans. Put another way, and with some jealousy, Europeans just play more. When asked how I can back that up, I say look at the same model-and-year brokerage boat in the U.S. and Europe. With a big enough sample it becomes clear that European boats have on average about 15% more engine hours. Quality time on the water is a more concentrated, scheduled experience here than across the pond. And when you’ve got just x number of boating days planned in a busy season, you cannot and should not have to tolerate boating time lost to a broken fridge, head, or air conditioner. When you need service, you shouldn’t have to wait. Whether your vehicle of choice rolls on four wheels or none, service is king. In the vicinity, skilled, quick, and dependable service. It’ll work for Tesla, it’ll work for Reliant Yachts, and it’ll work for you. 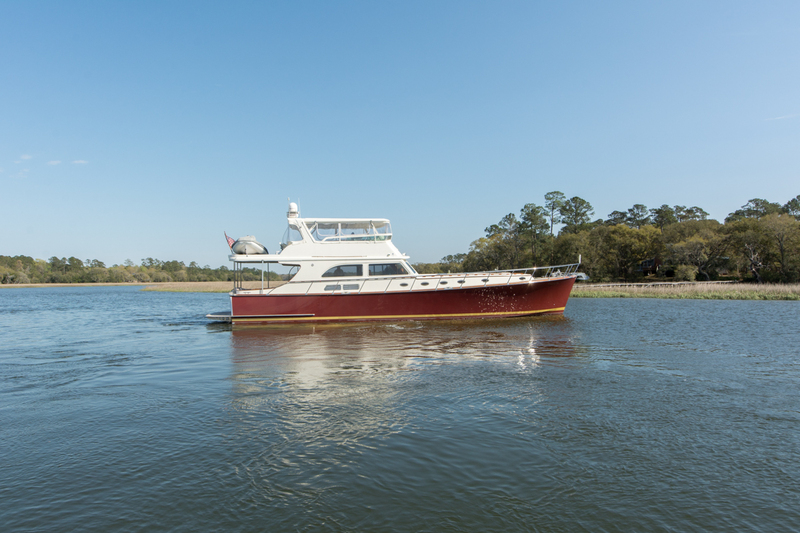 First, the owner of Mahogany Rose, our Vicem 67 listing …. The Only Large Vicem FB on the Market! 2. 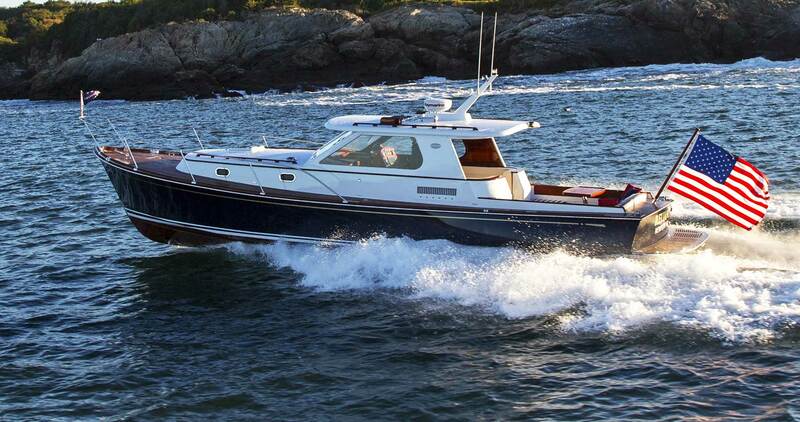 Secondly, I am really happy to report that Reliant, our Commuter 40 listing, will be displayed and available for sea trial next weekend in beautiful Sag Harbor! I can even run you over there by Commuter! So by all means come out to play in the Hamptons this weekend. I can promise you a great time. My own flats boat, a Sea Strike 160, isn’t too far from Sag. If any client would like to try this kind of fishing with me, just launch a flare. I’m not a professional guide, which just means I won’t bark at you like the guides in the video when you screw up. Ciao for now, loyal readers. Coming soon is my long, balanced and candid discussion about jet drives. PS: Hopes and dreams, plans and schemes? You probably recognize that lyric from the great doo-wop song done by the Skyliners in the year I was born. But I prefer this modern Brian Setzer Orchestra version, which really swings. Grab your partner and dance to it. I just did!